The North Yungas Road is a road from La Paz to Coroico. The road is 56 kilometres (35 miles) northeast of La Paz. It is known as the world’s most dangerous road, because of the many casualties it had every year (300). 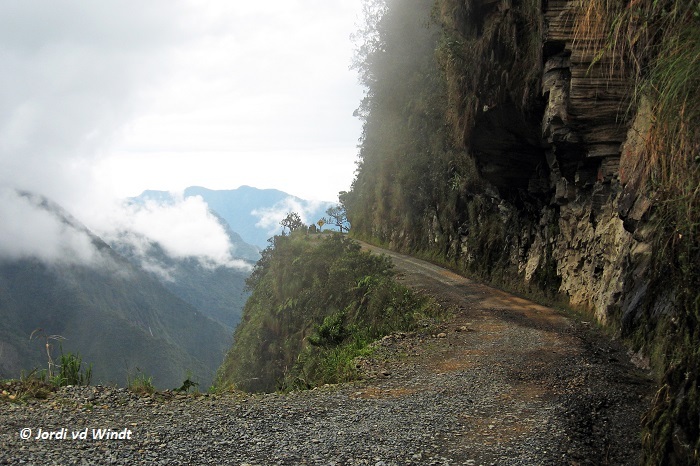 Now there is a new road for traffic and the old Yungas road is perfect for (downhill) mountainbiking.